When Stella the Storyteller loses the numbers from her magical clock, it's up to Barney and all his friends to help her find them again. Join in as their number search leads them straight to the library for some good old-fashioned storytelling fun. But they'll have to find those numbers in a hurry, because when the alarm clock goes off, Stella plans to give them all a Barney-size, super-dee-duper … surprise. 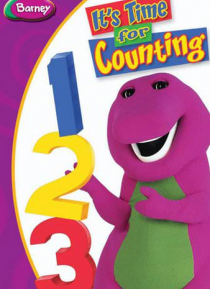 Get ready to learn to count with Barney in this fun-with-numbers race to the finish.